The Lumia 900 has been out for 24 hours now, so the question on everyones' mind is "how well is the Lumia 900 selling?" We don’t know for sure, but one indicator is that it shot to the top of Amazon’s best seller list this morning. Of course Amazon only provides relative rankings, but it’s outselling the Droid RAZR MAXX and the Galaxy Nexus right now. At one point the Lumia 900 claimed the number one and two spot, with the black model number one and the cyan version second. Since then the cyan version has given up the number two slot to the RAZR MAXX, which has continued to be a strong seller on Amazon. These comparisons are imprecise in the best of times, but reading the tea leaves on sales of the Lumia 900 are even more difficult than normal - in a move sure to raise questions later, the Lumia 900 first launched on Easter Sunday, meaning that almost all physical store locations were closed or on reduced hours. It’s hard to imagine what AT&T was thinking when choosing the launch date, but regardless folks who might have normally picked one up over the weekend in store may now be choosing to purchase online. 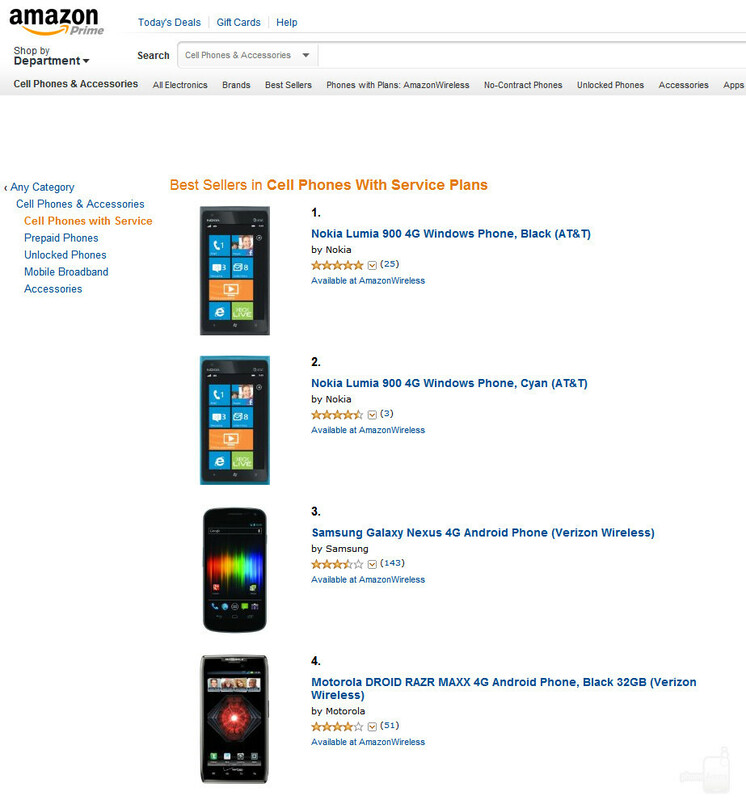 Edit – simply in the course of writing this article the leader board at Amazon has changed again (see screen grabs below) – now the cyan Lumia is back up to second and the Galaxy Nexus has leapfrogged the RAZR MAXX to take third. So the take home mesage is that positions 2,3, and 4 are close enough together that they will probably change several more times today. 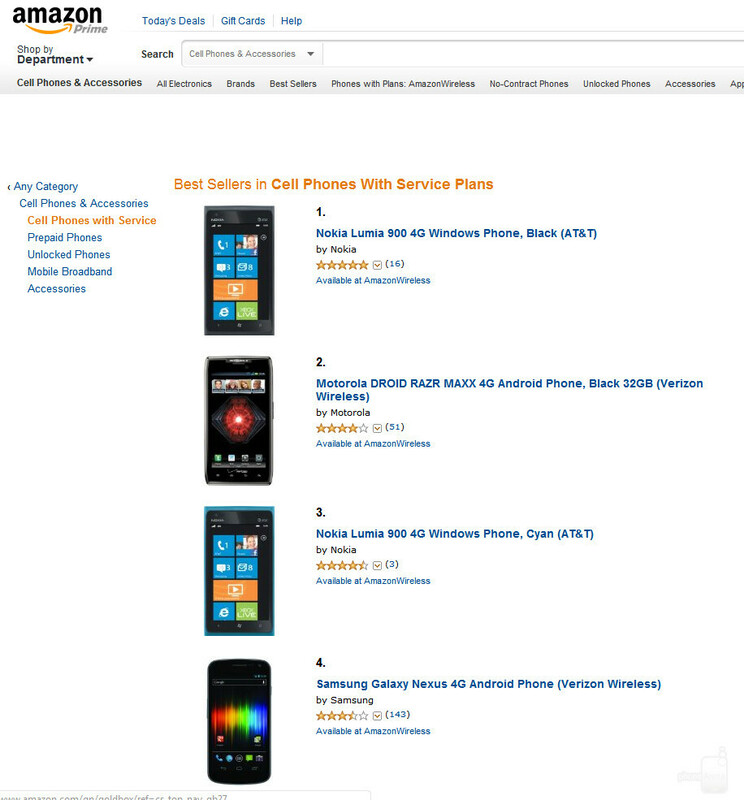 In short – the Lumia 900 is selling well on Amazon, but not so well that it's outclassing Android handsets that have been on the market for months. The black model seems to be significantly more popular than the cyan model with Amazon buyers. Beyond that, we’ll have to wait for AT&T or Nokia to provide more clarity. What is the price on AMAZON? Have no idea why the price isn't listed on these phones. That might help us understand why these phones are performing so well in the top four. I hope the sales of the Nokia 900 will exceed expectations, with Windows Phone stepping up its game, Android and iOS will have to innovate more leading to a better and smarter market. I already tried one. 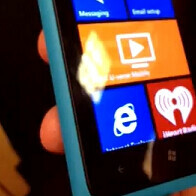 It's a the best Windows phone out there. One of the managers said they already sold at least 30 at his store. Specs seem pretty low-end. What's the attraction? Only spec that's actually low end is the processor, which is still only a single core 1.4 GHz (plenty to run WP7.5, but low-end relative to non-Windows flagship devices). Otherwise, the rest of the specs - LTE, 8 MP camera, 4.3" screen, FFC - are right in line with other high-end devices. Overall, I think the attraction stems from the fact that it's Nokia (which people equate to great build quality and industrial design) and that it offers a different experience from the current major players that have dominated the market for the past couple of years (in terms of OS). The attraction is the mix of the fantastic phone design, the refreshing Metro UI and the unmatched fluidity of the OS. Try one and see for yourself. Agreed Penny. Its something different.